TEL AVIV (Sputnik) - Israeli security forces uncovered and thwarted a terrorist cell in April, which is believed to have been plotting a series of terrorist attacks in Tel Aviv, Jerusalem and the West Bank, the Israel Security Agency (Shabak) said in a Sunday press release. The 21 hectare farm west of Damascus, whose access to the capital was blocked by terrorists during the war, produces about 15 tons of fresh fruits and berries every season. TEL AVIV (Sputnik) - Israeli Prime Minister Benjamin Netanyahu said on Sunday that, in phone talks with Russian President Vladimir Putin, he stressed his determination to take action to prevent Tehran and pro-Iranian forces from establishing a military presence at the Israeli-Syrian border and elsewhere in the Arab Republic. 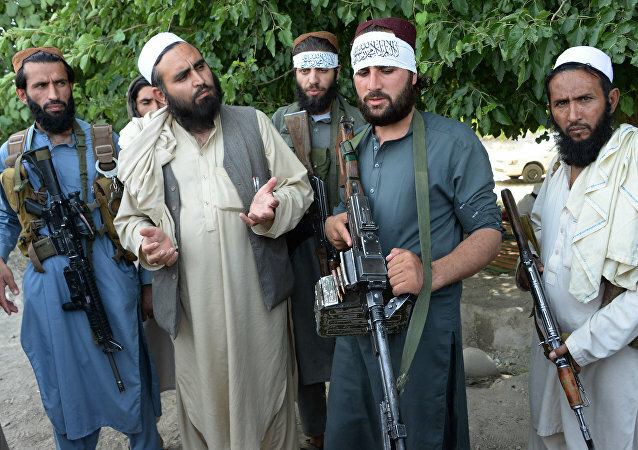 Previously, media reported, citing Afghan President Ashraf Ghani, that the country's government and the Taliban militant group had agreed to prolong the truce. 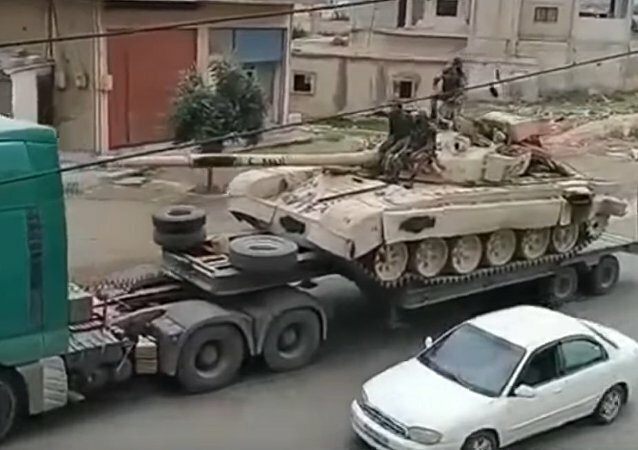 As Damascus appears poised to liberate Syria’s southwestern territories from terrorists, the Syrian army has deployed a large military force in preparation for a possible major offensive in the region. 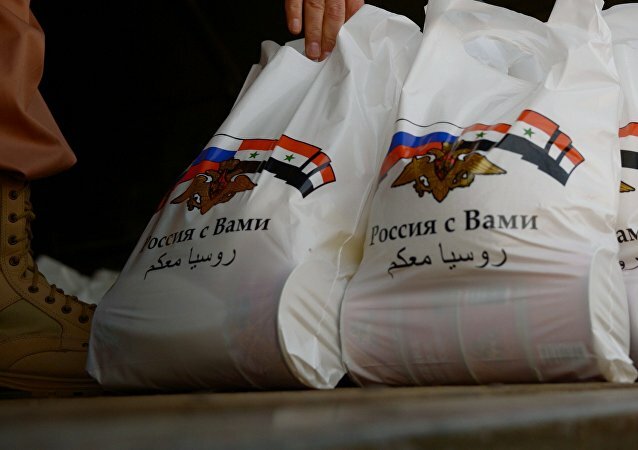 LATAKIA (Syria) (Sputnik) - The Russian Defense Ministry’s Center for Syrian Reconciliation has delivered humanitarian aid to the residents of El Shiyha town in the western Hama province, Artur Yevseyev, a spokesman of the center, said Sunday. ANKARA (Sputnik) - Turkish authorities expect that the country will accept up to 40 million foreign tourists, Turkish President Recep Tayyip Erdogan said Saturday. MOSCOW (Sputnik) - Libya's National Oil Corporation (NOC) said in a statement that further activities of militants near the oil terminals in the towns of As Sidr and Ras Lanuf could result in an environmental disaster. MOSCOW (Sputnik) - At least 30 foreign nationals were detained in the Turkish largest city of Istanbul over suspected links to the Islamic State terror group, (Daesh)*, local media reported. 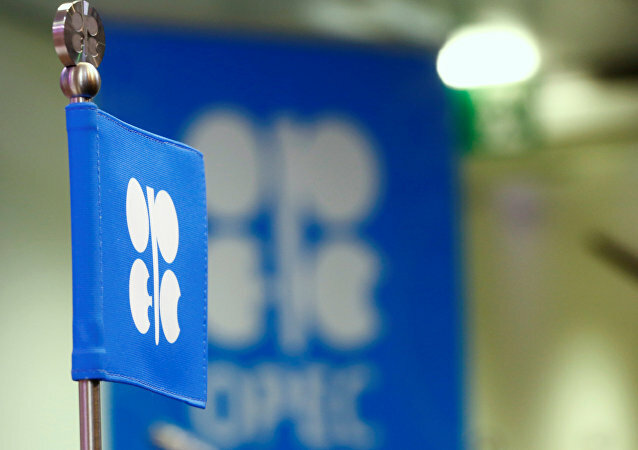 DHAHRAN (Saudi Arabia) (Sputnik) - Russian President Vladimir Putin and Saudi Crown Prince Mohammed bin Salman Al Saud have agreed to jointly support an extension of the OPEC/non-OPEC oil output-cut deal, Russian Energy Minister Alexander Novak said on Saturday.